These unique shared experiences create lasting workplace bonds and forge a formidable team. Zulu Style Experience brings you unique and challenging cultural team building in the townships of Durban, bringing the honour, dignity and camaraderie of African culture to your team. As a warrior nation during King Shaka’s reign, discipline, cohesion and trust were paramount to the astounding success that forged the Zulu people. Immerse your group into Africa with unique, fun, traditional and cultural challenges that take you out of your comfort-zone and test your assumptions about the world. Travel in taxis, visit traditional medicine markets; participate in Zulu warrior dances, ceremonial drinks and typical shisinyama braai, whilst building trust, cohesion and confidence with your colleagues. 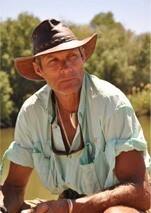 Andy grew up in the diverse regions of rural South Africa and has an in-depth understanding of the traditions and customs of his fellow Africans. Over the years, Andy has participated in a wide variety of indigenous cultural rituals and lifestyles, spending time with the Khoi san, experiencing Zulu rites of passage; and participating in Xhosa ceremonies to name a few.